In the desert, having a backyard pool can seem like a true oasis. But that oasis comes with a few potential headaches. First, there’s the pool equipment — the motorized pump, sand filter, etc. — which can be expensive to maintain or replace. Then, there’s the chemistry of keeping a pool clear, which is a little more complex than filling a floating duck with chlorine tabs. And, there’s the simple matter of time. If you don’t have 20 to 30 minutes a week, plus some extra effort after a dust storm, that oasis can turn into a mud puddle, or, worse, a green-algae experiment. Here’s a basic checklist for the pool novice to properly maintain a pool. Water evaporates — especially in a desert. More sophisticated pool systems have an automatic filler that kicks in when the water level drops. If your pool doesn’t have such a feature, you’ll want to get out the garden hose. “Everyone should at least check their water level once a week,” says Rick DeRouin of Rick’s Pool Care, which services the north Valley. DeRouin says the water needs to be halfway up the mouth of the skimmer (the area that opens into a basket to collect leaves and debris). This isn’t about aesthetics. If the water level gets too low, your pool pump could be damaged. Bill Moore of Moore’s Pool Service in Scottsdale says one couple he helped had been diligently maintaining their pool, but they didn’t realize the D.E. (diatomaceous earth) filter needed to be taken apart and cleaned twice yearly, or that the cell on the salt-water system needed to be cleaned with acid. When they finally called, some of the equipment needed about $300 in repairs. Know whether you have a sand filter, a D.E. filter or a cartridge filter. You should know how and when to backwash and clean the filter. And understand the basics about how to run and program your equipment. At a minimum, take a picture of your equipment and look it up online, or take the photo to a pool store to see what type of maintenance it requires. Preferably, ask a pool technician to come out and show you how to run the equipment. Another option is Pool School. Leslie’s Swimming Pool Supplies, which has more than 60 stores in the Valley, offers Pool School for about $105 (prices can vary; customers sign up in stores), in which a technician will visit and show homeowners how to run all their equipment. “That really boosts customers’ confidence,” says Rick Parise, Leslie’s regional sales director. In the summer, most pool pumps have to run a minimum of eight hours a day to keep an average-size (15,000- to 20,000-gallon) pool clean. Another common recommendation is that you run the pump one hour for every 10 degrees, or 10 hours for a 100-degree day. But this depends on the size of your pool and equipment. Every week, plan on taking about 30 minutes to empty the skimmer basket, skim out leaves and debris, brush down the pool and the water-line tile and test the pool water. Backwash if needed. If the pool doesn’t have an automatic vacuum, vacuum it manually when debris or dirt accumulates. And, of course, refill the chlorine tabs in the pool floater. DeRouin warns never add tabs or chemicals to the pool skimmer basket; doing so can damage the pump and equipment. “You just have to be diligent,” Moore says. Chlorine dissipates quickly here on hot summer days. And the more use the pool gets, the more sanitizer it takes. But the chlorine level isn’t the only thing to check. You’ll also need to know the pH level, which should be between about 7.2 and 7.8 for the chlorine to work effectively. And the alkalinity should be balanced as well. 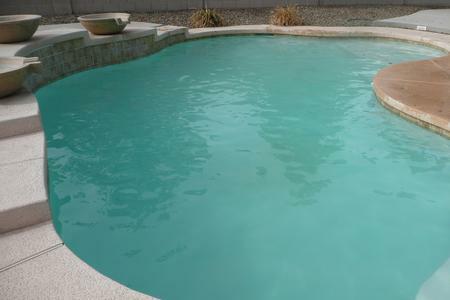 Getting the right balance of sanitizer, pH and alkalinity means swimmers will be safe, and you won’t end up with an algae-filled green pool. You should check your pool water weekly with a water-testing kit or testing strips from a home-improvement or pool-supply store. Leslie’s offers free pool-water testing when you bring in a sample. Or a weekly pool service will maintain the water for you, freeing you from mastering the art of adding muriatic acid when the pH is too high. If you let your pool turn green, you’re looking at a bigger bill to fix the situation. If you have the funds, hiring a qualified pool service can save you a lot of work. He urges homeowners to check credentials — including whether a service provider belongs to professional organizations, such as the Association of Pool and Spa Professionals or Independent Pool and Spa Service Association — before hiring a pool-maintenance service and to make sure you’re getting more than a guy with a net and chlorine tabs. Also, know what you’re getting for the money, because at $90 to $115 or so a month for an average-size pool, the service is an investment. A good pool service should keep the water chemistry balanced, the water sparkling and the equipment in good working order. 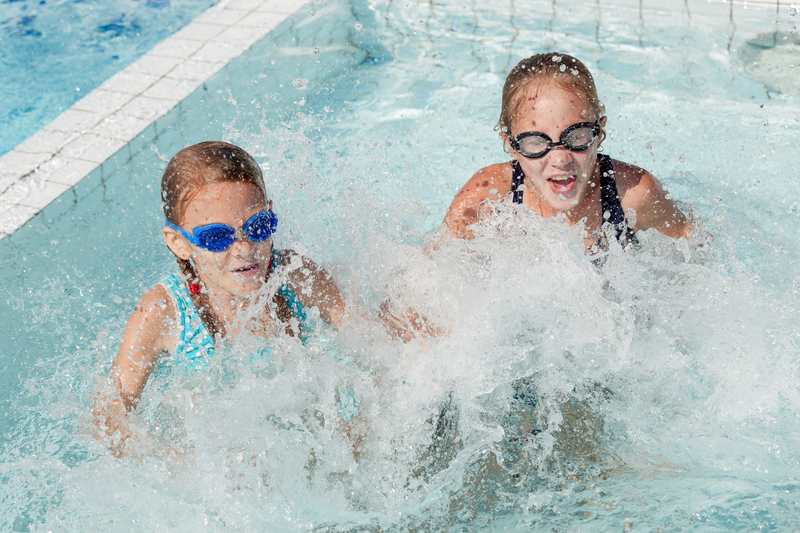 The service also should do some preventive care on the pool equipment and keep an eye out for leaks or other problems that could become more expensive fixes without maintenance. Brandon Bush of Aqua Shine also urges homeowners to do the math on how much they’re really spending on their own pool chemicals and equipment, plus their time, when deciding whether to hire a pool service. If you’re buying a home with a pool for the first time, find out whether the pool equipment is in working order and if the pool needs resurfacing. Both of those expenses can run into the thousands of dollars. If there’s a concern, ask a pool expert (not just a home inspector) to inspect the pool before you put in an offer. He looks for visible leaks on the equipment, air bubbles coming out of the returns that would indicate a suction leak and any signs that the pool needs to be resurfaced, such as pitting, cracking, gouging or peeling plaster.